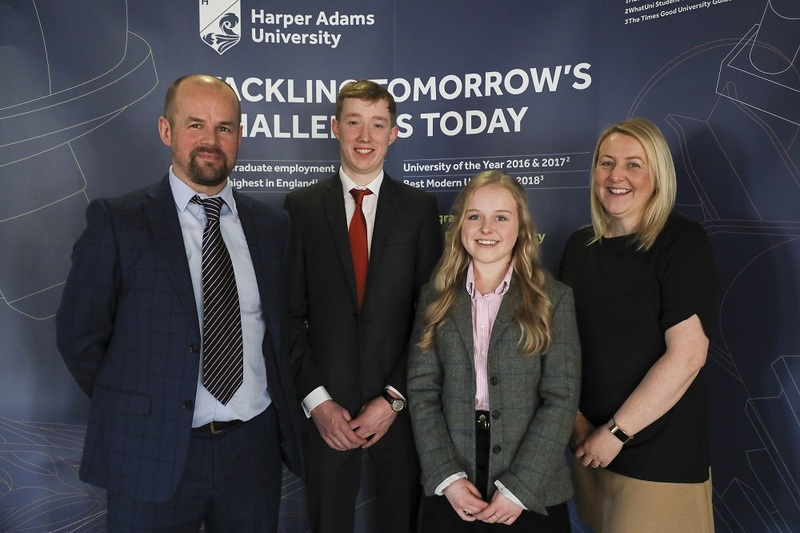 Moy Park has awarded top performing Harper Adams University students with coveted scholarships as part of the British Poultry Council (BPC) Scholarship scheme. Connie Reeves from Wellingborough who is currently studying Agriculture with Animal Science at the university, will be joining the Moy Park team in Ashbourne, Derbyshire in July 2019 for a one-year paid placement programme as part of the scholarship. Ifan Huws from Powys, Wales who is completing his fourth year at Harper Adams, was applauded by Moy Park as he received the second payment of his scholarship following the successful completion of his work placement. The British Poultry Scholarship is awarded by British poultry businesses to outstanding students considering a career in agri-food. At Moy Park, Reeves will gain hands on experience working across the company, learning about various aspects of food production including flock monitoring, biosecurity procedures and animal welfare.